Step 1: Find your replacement code within SmartrMail. Step 2: Navigate to the themes section of the Shopify dashboard and click "Edit code"
Step 4: Replace the <form> action attribute with the SmartrMail action attribute ex. 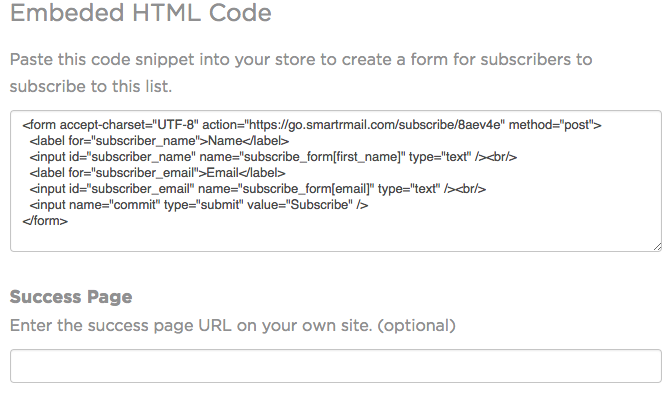 "https://go.smartrmail.com/subscribe/xyz"
Step 4: On the email address input, replace the name attribute with "subscribe_form[email]" and replace the type attribute with "text"